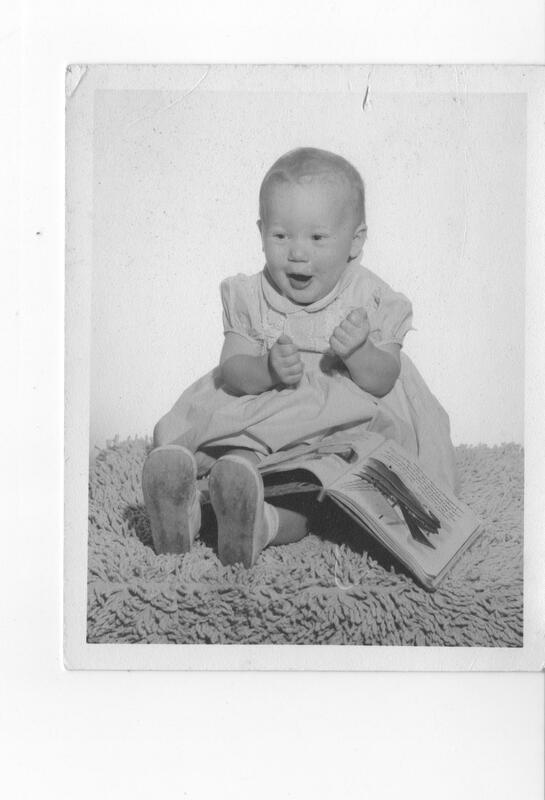 I’m not kidding when I say I’ve always loved books. Look at that enthusiasm! I remember wanting to learn to read so badly when I was about four. My cousin Marcia tried to teach me. It seems fitting now that the book was about a cat. But the magic of reading didn’t happen for me right away. When I was growing up, the schools didn’t teach reading until first grade. I was dismayed my first day when I found out some of the kids already knew how. Oh no! I was a failure already, before my school days had even gotten off the ground! But that’s the last thing I remember about that monumental time in my life of learning to read. I think it happened quickly after that first day, because I don’t remember any more angst about reading. I do remember sneaking books to read under my desk when I’d finished the first grade classwork. I heard later that my teacher knew I was sneak-reading and let me continue. Not all my later teachers were so understanding. Mrs. Justice, you were well-named…. The low-tech process of choosing a winner took place again. My husband pulled the lucky winner out of the basket. The winner is…DAdadaDUM…Peggy Archer, fellow children’s author and good friend. She lived in Valparaiso when my oldest son went to the university there and she was a good support. (It was a random drawing, however. Maybe it’s karma….) 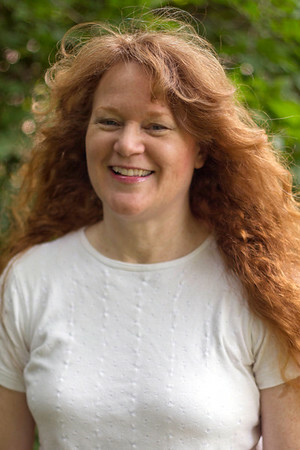 You can find her and her great books on the web at www.peggyarcher.com. Congratulations, Peggy! a circle of arms reduced to one hand. is old enough enough to act the child again. 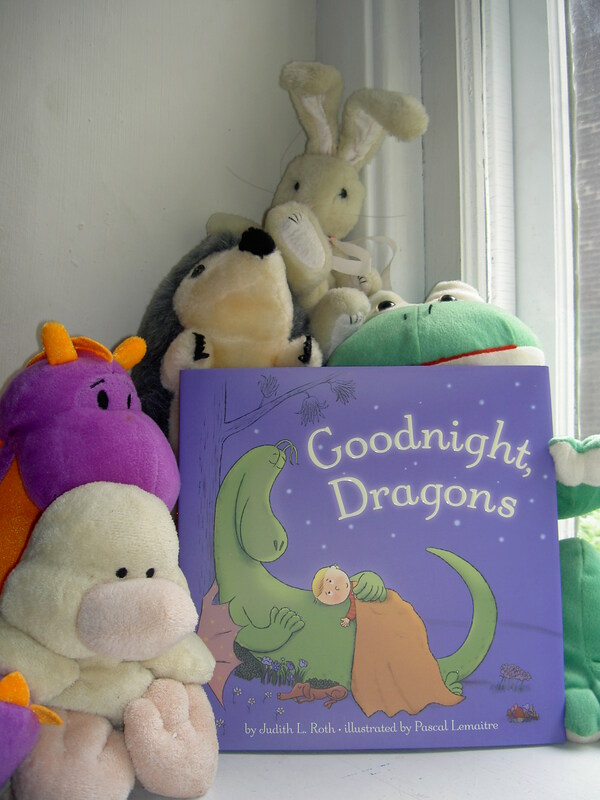 In celebration of Children’s Book Week, I’m giving away a copy of my picture book, Goodnight, Dragons. To enter the drawing, mention this giveaway and my website somewhere on the web. Then tell me in the comment box where you mentioned it. The drawing will run until midnight on Mother’s Day (West Coast time, in a nod to my California friends and family). To get an extra entry, comment on Pascal Lemaitre’s wonderful illustrations so I can send some appreciation his way.